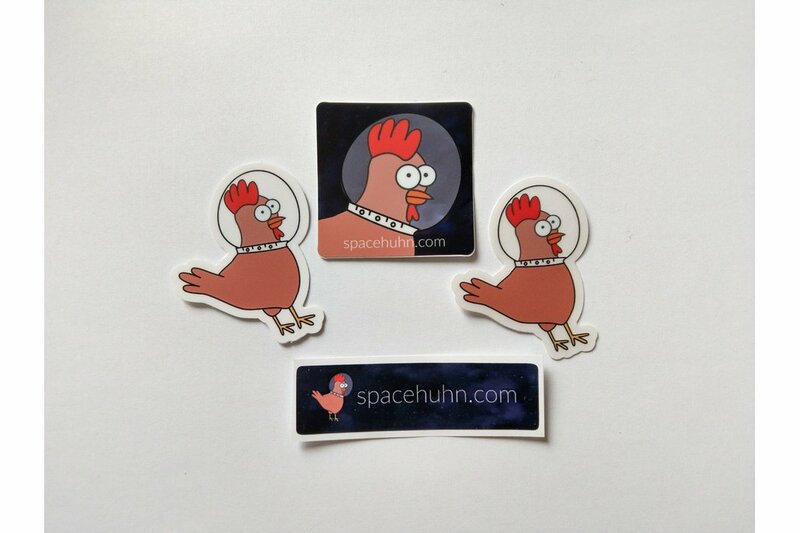 The Spacehuhn Sticker Set: Get all the chicks and stick them on your laptop, phone or tablet. It's a set of 4 happy little chickens 🐔 that wish nothing more than to become a part of your laptop cover! 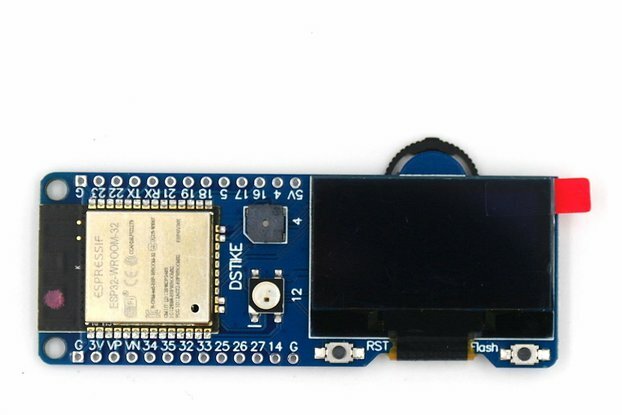 There is also an optional magnet and a stickersheet for your ESP8266 and ESP32 based projects! I don't expect making any profit from them. These lovely free range chickens are all printed on high-quality paper and just look ridiculously awesome! Those stickers were kinda expensive to buy but the quality is just awesome! I would like to make it cheaper for you but I need at least a tiny bit of profit, so I can justify the work with packaging, sending and managing refunds when something goes wrong. What do you do besides selling stickers? I'm probably most famous for my ESP8266 Deauther and you can find a bunch of cool WiFi hacking projects on github.com/spacehuhn. 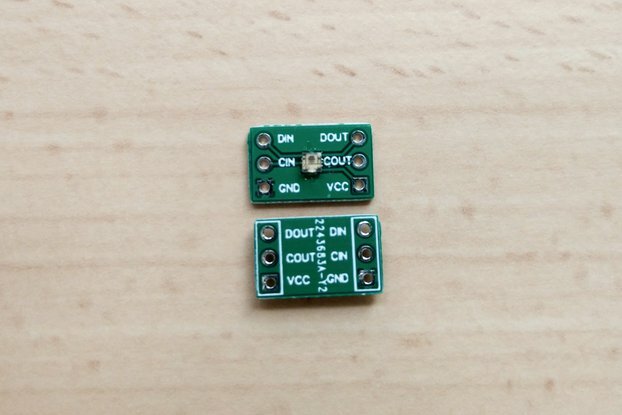 And if you like to buy something more practical, then head over to Travis Lin's shop who sells different developement boards with my software. ~ 1 - 3 weeks delivery. The tracking does not always work perfectly. I ordered a deauther and stickers, I never received ANY of them. I purchased them back on November 2018! go figure. DO NOT BUY FROM THEM. SCAMMERS!!! Again, sorry you order did not arrive. I gave you a refund because I'm out of stock on NodeMCUs. Next time please contact me immediately when the tracking says delivered and you didn't receive it. You need Spacehuhn Stickers? These are the ones you want! They're Spacehuhn! They stick! Also, get magnets! Also Spacehuhn. They also stick (to things that are ferrous). Be assured that even if you live very far away, these hens are very fast. And if something goes wrong, the head Spacehuhn will let you know and make things right. These are some amazing stickers. After buying them I instantly became a millionaire, got a model GF, and finally got some friends. These stickers changed my life from being a virgin normie to becoming a chad. Thank you Spacehuhn. What you can tell is that a chicken isn't a cat, an envelope isn't a box.and nobody knows why fried duck isn't as popular as fried chicken. The high quality stickers look great. The envelope they came in als looks amazing. The stickers arrived 2 days after I placed my order. The best space chicken related stickers I could find on the internet. The fridge magnet is on my fridge, holding up memos and making my fridge 1000% more awesome. 10 out of 10, would recommend. Great, But magnets could be more powerful. Some text to fill review because is had stupid 100 characters minimum rule. These stickers are the perfect size for a notebook! The magnet that came with it is a nice addition and will definitely go on the fridge. It's the perfect amount of stickers, one for your notebook, one for the next and one to trade for other stuff on events. The post office had a mishap, but Spacehuhn was kind enough to resend the package, without hesitation. This is also the perfect way next to patreon to support Spacehuhn with his work on the deauther code for the ESP8266. The communication with Spacehuhn is brilliant. 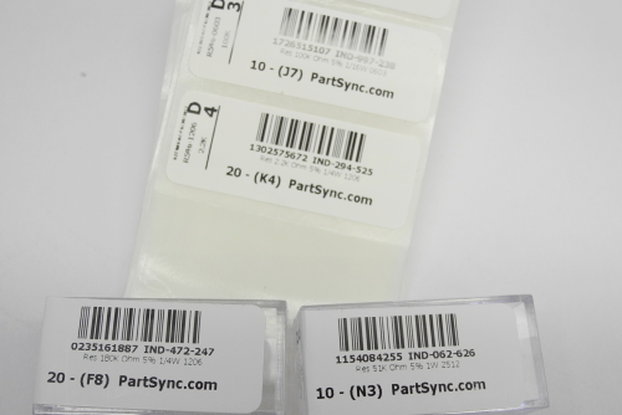 The Product arrived only one workday upon request, an exilent time! As far as productquality goes, I can't see any imperfections. All in all a product that can happily be recommend.